I've been invited to perform Beyond the Chariots in Vancouver during the Winter Olympics through More than Gold. During the 2008 Olympics I got to perform in Beijing alongside world-record-breaking Olympic champion Madeline Manning Mims, who coined the phrase "More than Gold," so this for me is a really cool connection. 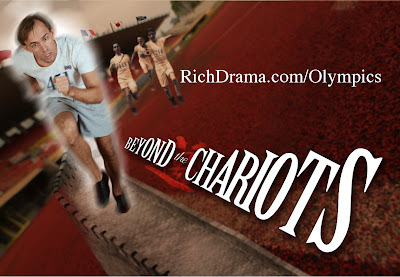 Beyond the Chariots tells the rest of the Chariots of Fire story: How, after breaking the world record in the 1924 Olympics, Eric Liddell spent the rest of his life as a missionary in China. Here's our performance schedule while there: MoreThanGold.ca/event/beyond-chariots. All performing artists, including professionals, are asked to raise our own support for this endeavor which will reach people coming from all over the world. Beyond the Chariots has been translated into Spanish, Traditional and Simplified Chinese, and Korean, so this play about a man who set aside Olympic glory to serve the Chinese people will be well placed. If you would like to give toward this opportunity visit RichDrama.com/Donate. If you'd like to receive a tax credit, you may give through our church: Send a check payable to Westchester Chapel Community Church of the Nazarene, PO Box 265, White Plains, NY 10606. In the memo line write, "Olympics." We expect our total costs to be about $1500. You may want to cover an airline ticket at $400, a night in the Artists' Village at $100, our registration fee of $50, or any number of transit shuttle passes which we'll need each day at $5. Once our expenses for the trip are met we'll put any excess toward the London 2012 Summer Olympics. Thanks so much for helping us reach the world in Vancouver, BC! 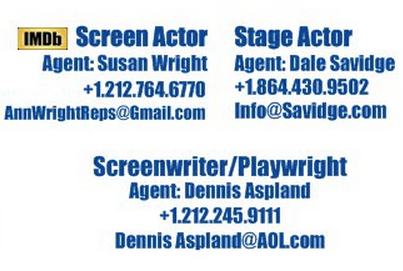 The following is an excerpt from the Off-Broadway production.